Carmelita McGrath holds a singular place in the heart of Newfoundland poetry. For an island that loves its poets, this is not a consolation prize for the weird auntie who likes her hats big and bright, but a heartfelt space created for a poet who inspired so many in their development. Michael Crummey has said many times that Carmelita McGrath was a force when he was dabbling in verse, falling under its spell and unsure of what kind of life it would provide him. She was instrumental in gathering writers in St. John’s, in nurturing their aspirations, and she emboldened both her peers and those who would come up behind them. And when she did not publish a collection of poetry for some twelve years, she was missed. Her peers lamented her lack of a new book publicly, they prodded her and cajoled her to finish it up, they pestered her when she balked. As for her own writing, she found a vernacular at ease in a poetic form. Every traditional culture is a man’s culture first. Hard scrabbled. Weather worn. Pitched against elements both natural and economic. The woman relegated to waiting and fretting. Recycled images of romantic rural life. Old world charms. Carmelita burnished the tools and picked away. She’s a writer with no patience for sentimental stories. The delight in reading her is to watch her upend our familiar myths, her craftsmanship deftly chipping off the rough edges until we see what was always there underneath it all. As many writers know, it’s not often readers come beating on your door demanding your next work, that you hurry it up already and stop making us wait so friggin' long. Imagine. 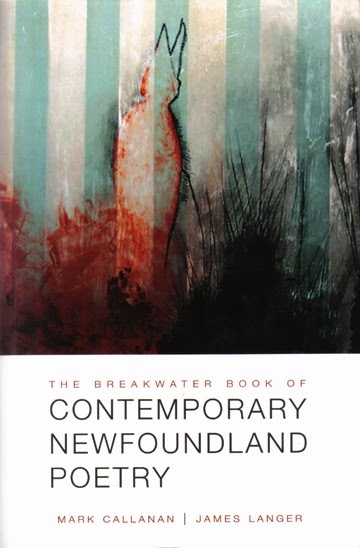 And yet, when Carmelita took the stage for the book launch of the Breakwater Book of Contemporary Newfoundland Poetry, the room fidgeted and settled, even a perceptible collective breath could be felt. St. John’s is the only city I know where poets fill the room at The Ship until they're spilling out into the alleyways. We missed your voice, Agnes Walsh said. Shoshanna Wingate lives in St. John's, Newfoundland. Her poetry book, A Crooked Mirror, will come out in Fall 2014 with Véhicule Press.